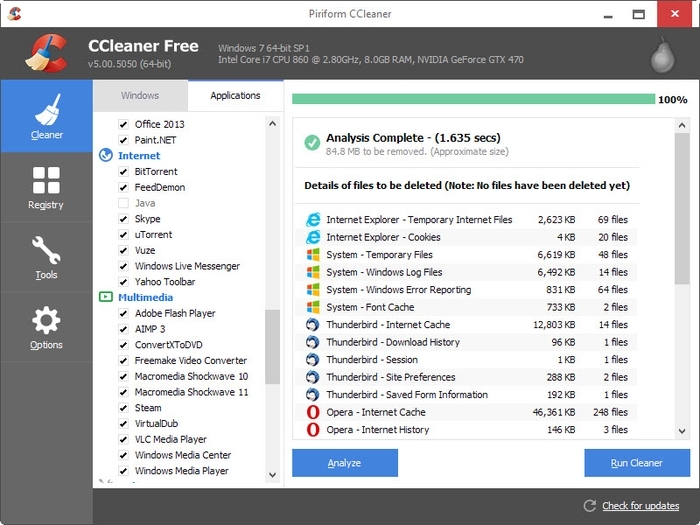 CCleaner is a small, effective utility for computers running Microsoft Windows that cleans out the 'junk' that accumulates over time: temporary files, broken shortcuts, and other problems. CCleaner protects your privacy. It cleans your browsing history and temporary internet files. Allowing you to be a more confident Internet user and less susceptible to identity theft. CCleaner can clean unneeded files from various programs saving you hard disk space, remove unneeded entries in the Windows Registry, help you uninstall software and select which programs start with Windows.